Complete your bathroom with a functional Heavy Gauge 72 in. Shower Curtain Liner in Clear. 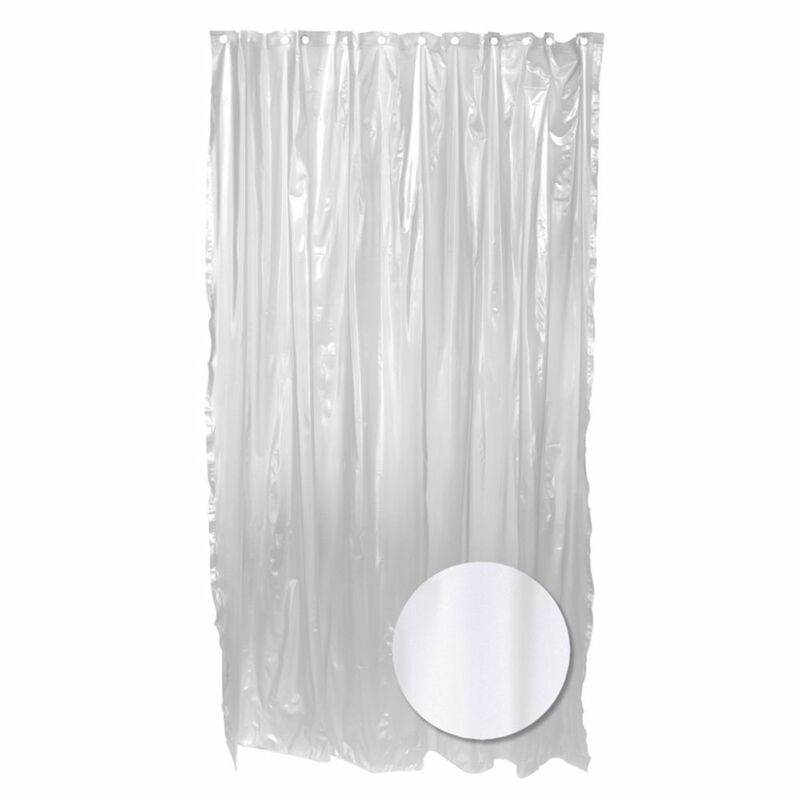 The clear colouring of this PVC/Vinyl Shower Liner will match well with any bathroom decor. To keep your shower area extra clean, the liner is mildew resistant. Heavy Gauge Shower Liner - Clear Complete your bathroom with a functional Heavy Gauge 72 in. Shower Curtain Liner in Clear. The clear colouring of this PVC/Vinyl Shower Liner will match well with any bathroom decor. To keep your shower area extra clean, the liner is mildew resistant. Heavy Gauge Shower Liner - Clear is rated 1.0 out of 5 by 1. Rated 1 out of 5 by customer2345 from Length Issue This curtain measures shorter than the length advertised on the package. I should have measured it before starting to put it up. What a waste of time having to put the old one back on and repackage this new one to go back to the store.